Which Croatian Book Should We Read in November? The lands that comprise Croatia were a part of the Austro-Hungarian Empire until WWI's end. In the early 1900s, the Croats, Serbs & Slovenes formed Yugoslavia. Then, the Nazis invaded & a Greater Croatia was formed including most of Bosnia & western Serbia. The regime killed hundreds of thousands of Serbs & Jews trying to create a Catholic, all-Croat republic. After a bitter resistance campaign by Communist partisans soon after WWII, Croatia became 1 of the 6 republics of the Yugoslav socialist federation. In the 1970s, protesters unsuccessfully tried to assert Croat autonomy. 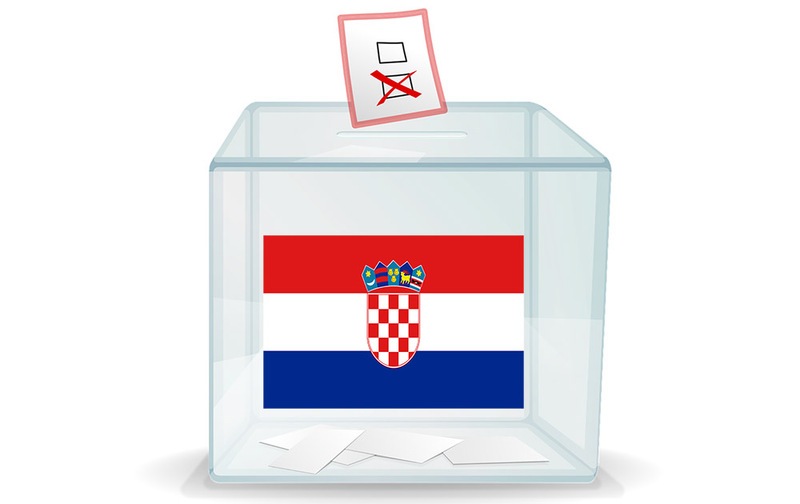 In 1991, Croatia declared its independence from Yugoslavia. However, it took 4 years of bitter, fighting in the Balkans before Serb armies were mostly cleared from Croatian lands, along with a majority of Croatia's ethnic Serb population. Under UN supervision, the last Serb-held enclave was returned to Croatia in 1998. Break-up of Yugoslavia. Croatia shown in light red with the capital of Zagreb marked on the map. More recently, as detailed by the International Criminal Tribunal for the former Yugoslavia,** the UN war crimes tribunal in The Hague began trying over 160 people for mass atrocities, genocide & crimes against humanity which took place in Croatia, Bosnia & Herzegovina committed during the 1990s war in the Balkans. While the most significant number of cases have dealt with crimes committed by Serbs & Bosnian Serbs, the Tribunal has investigated & brought charges against a variety of people including some Croats. As the last major trial is set deliver a verdict next month, these war crimes are still at the forefront of Croat minds. This month, you'll choose among works of history, noir crime fiction, war, literature, essays & a new genre for our book club, psychological horror. Special thanks to Neha Mehta for her suggestion of essays included in this list! * (2017 March 17) Croatia Profile - Timeline. BBC News. Retrieved from http://www.bbc.com/news/world-europe-17217954. ** United Nations International Criminal Tribunal for the former Yugoslavia. Retrieved from http://www.icty.org. Older PostHave a Book Suggestion for November's Country?